The project started with Susanne Ebbinghaus, the George M.A. Hanfmann Curator of Ancient Art and Head of the Division of Asian and Mediterranean Art at the Harvard Art Museums, reaching out to me in regards to a possible Silversmithing workshop for a hands on appreciation to compliment the special exhibit she was curating, Animal-Shaped Vessels from the Ancient World: Feasting with Gods, Heroes, and Kings. 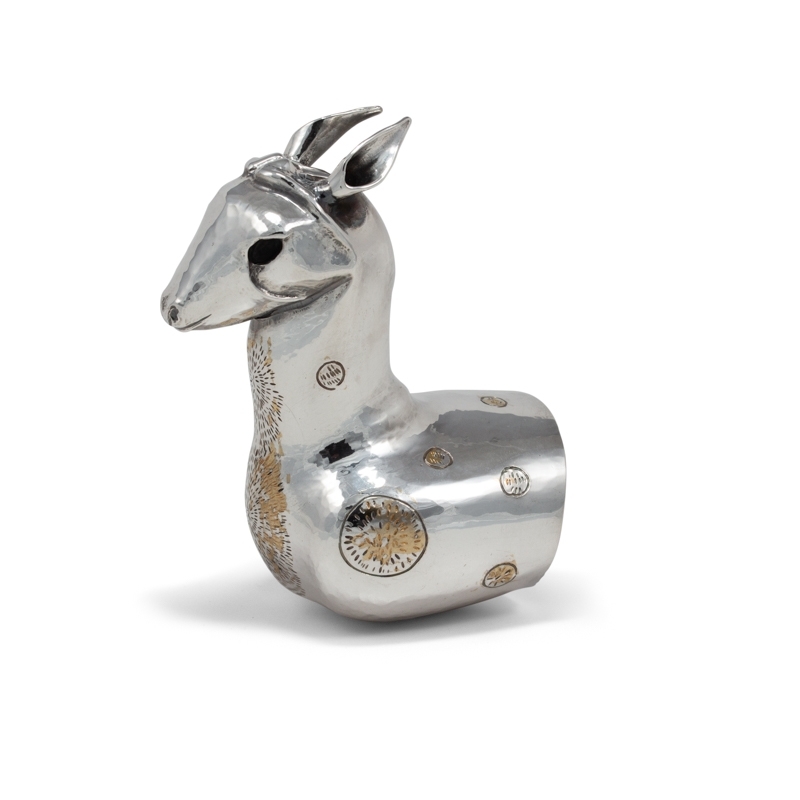 In conjunction with the exhibition, the work shop would be part of a Symposium, Between Art and Asset: Silver Vessels from Antiquity to Today, and we thought it would be interesting to have a co-presentation between a Silversmith and Angela Chang, Assistant Director, Conservator of Objects and Sculpture and Head of Objects Lab. 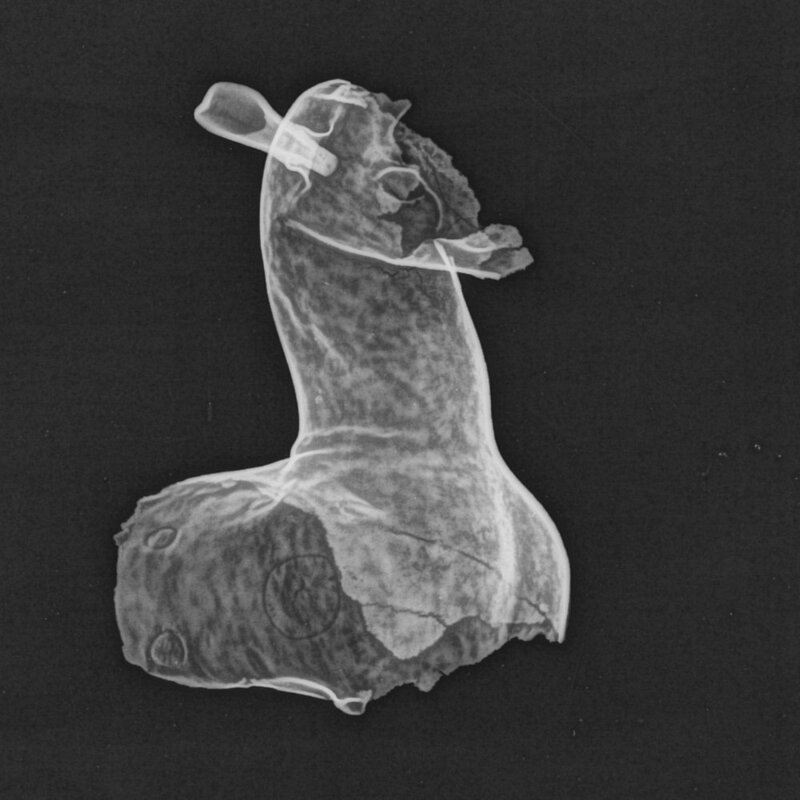 On my first visit to Harvard Art Museums Angela had pulled this Fragment of a Rhyton from the collection for us to look over and inspect . 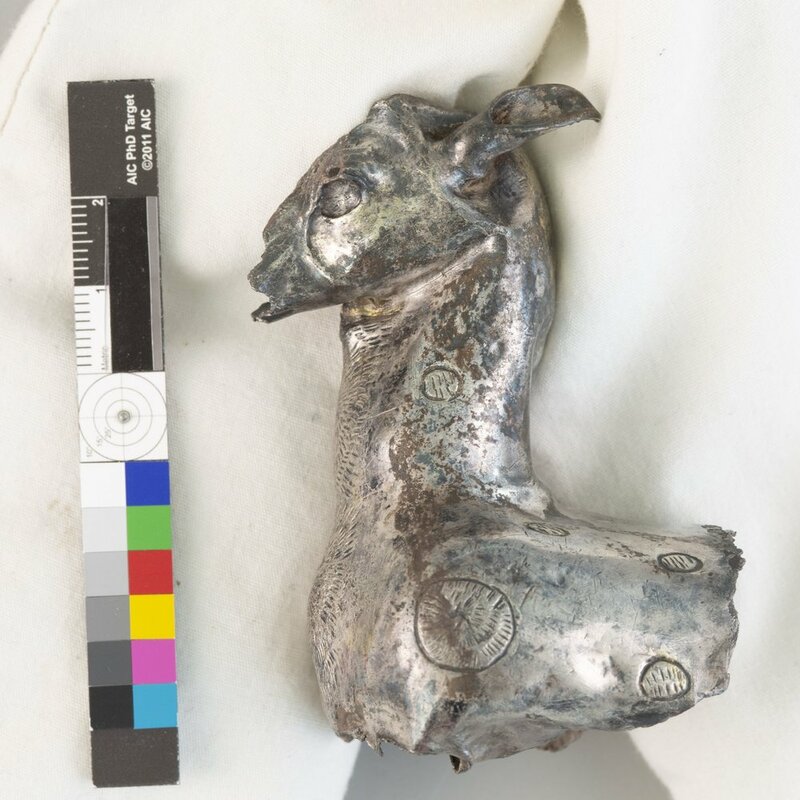 By the end of the day I had decided that I would remake the Deer, documenting my process to share in our presentation, Reconstructing an Ancient Artifact: A Silversmith and a Conservator in Conversation. 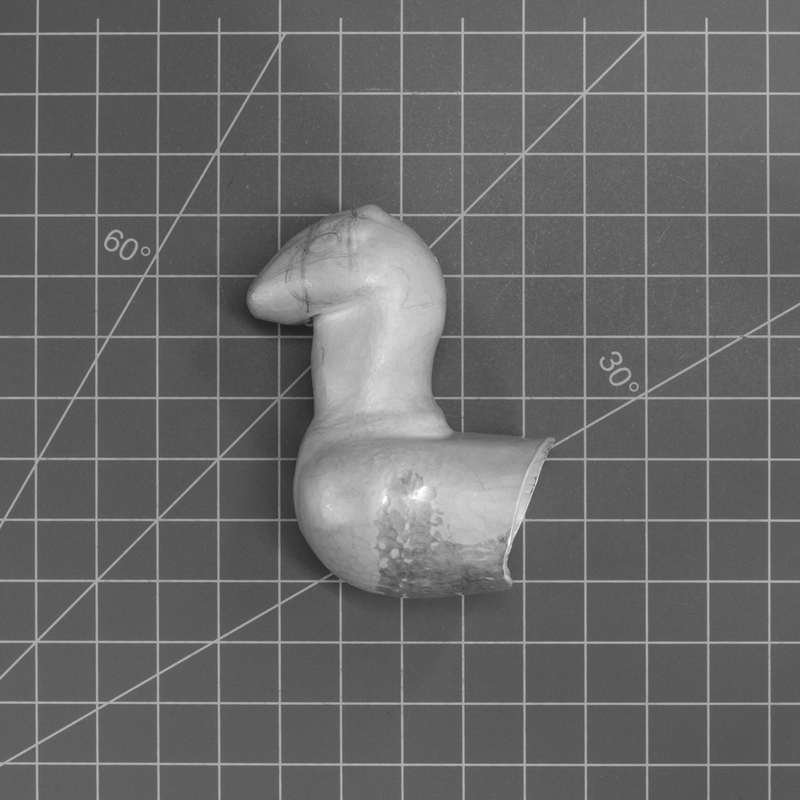 From images and measurements provided by Harvard Art Museum I began to reconstruct the deer by forming the body through raising and attaching lost wax cast ears through soldering. 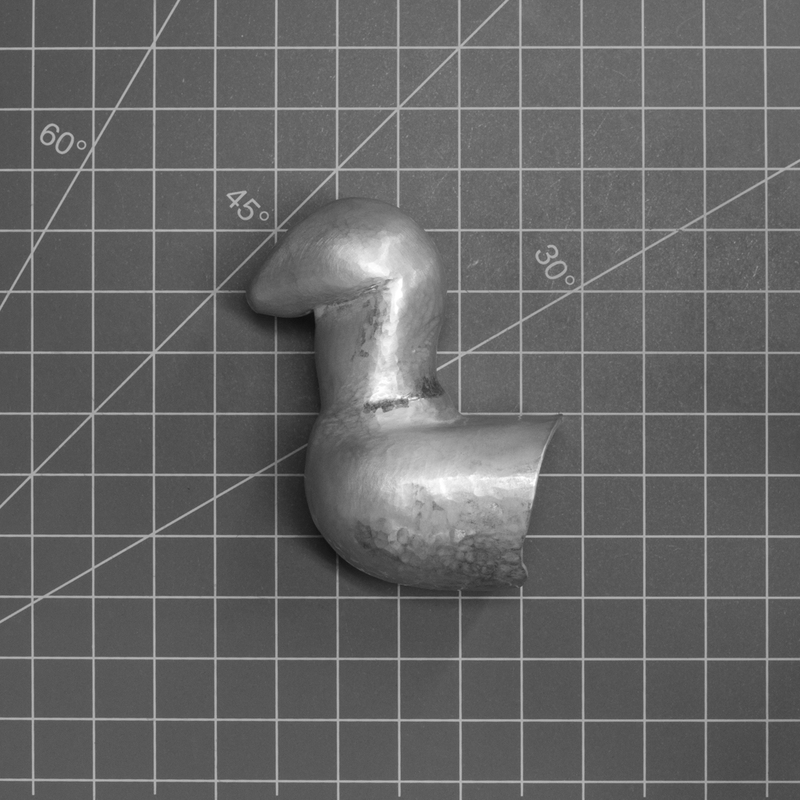 A course is the time frame in which the metal transitions from a softened annealed state to work hardened. At the end of each course the work was photographed to illustrate the progression of the piece. The initial cup forming took 11 courses, special attention is placed on maintaining material thickness and insuring mass is allocated correctly. Giving the deer its general form took 20 courses. Refining the form and detailing took 13 courses. 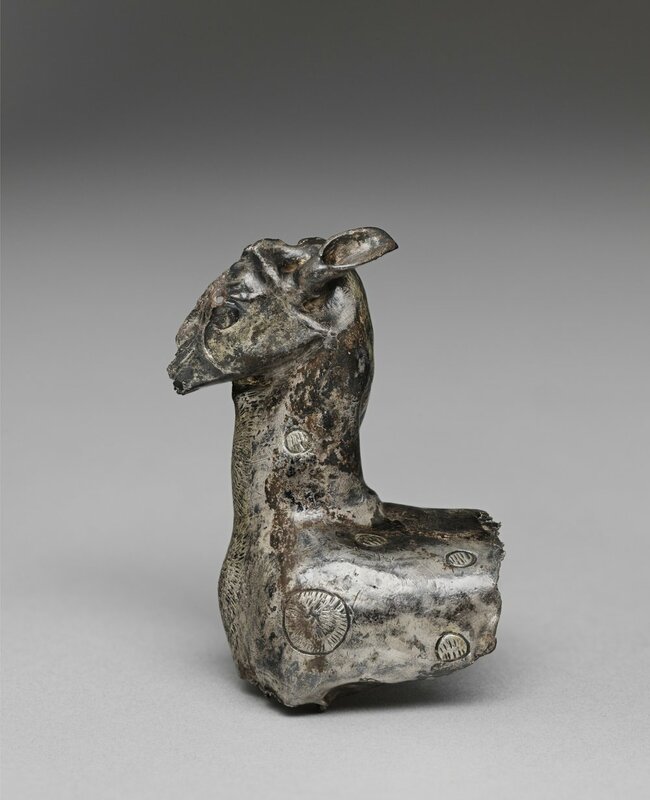 Overall the Deer required 44 courses, I did not attempt to recreate the legs but perhaps in the future this Fragment of a Rhyton will receive legs and a horn. 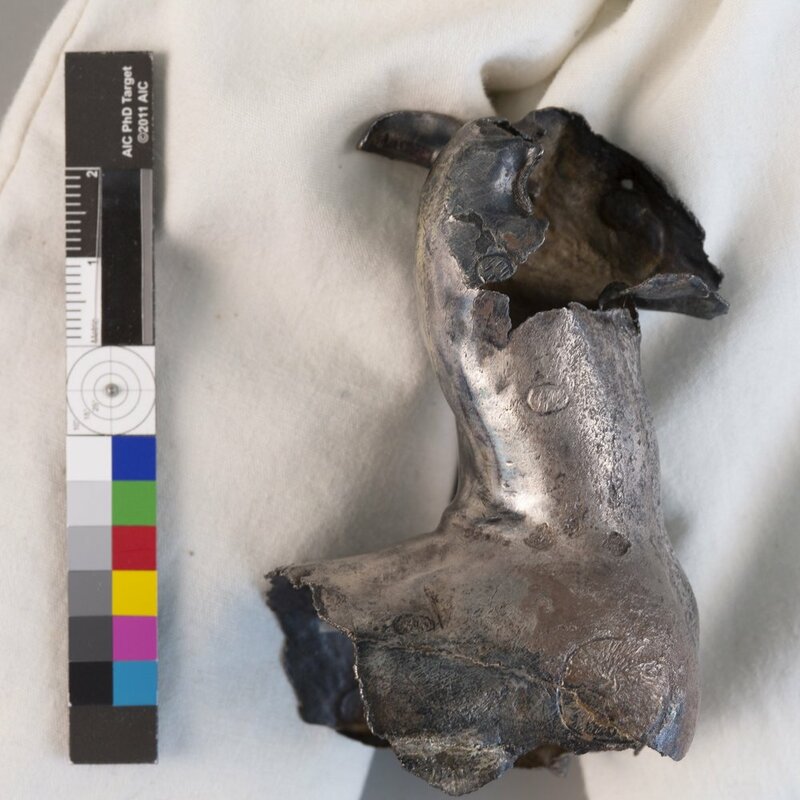 The first step in reconstructing the deer was determining the starting blank of sheet metal to form the body out of. The first blank I knew was to large and thick but it was more of a quick exploration of the form, my approach, and understanding of equipment needed. Due to the small scale of the object I was curious if my collection of forming stakes would be suitable to form the deer or if new tooling was required. The third template was the final size, shape, & thickness I decided to work from. The four samples made from this starting blank all look different especially at the edge or opening of the hollow form. 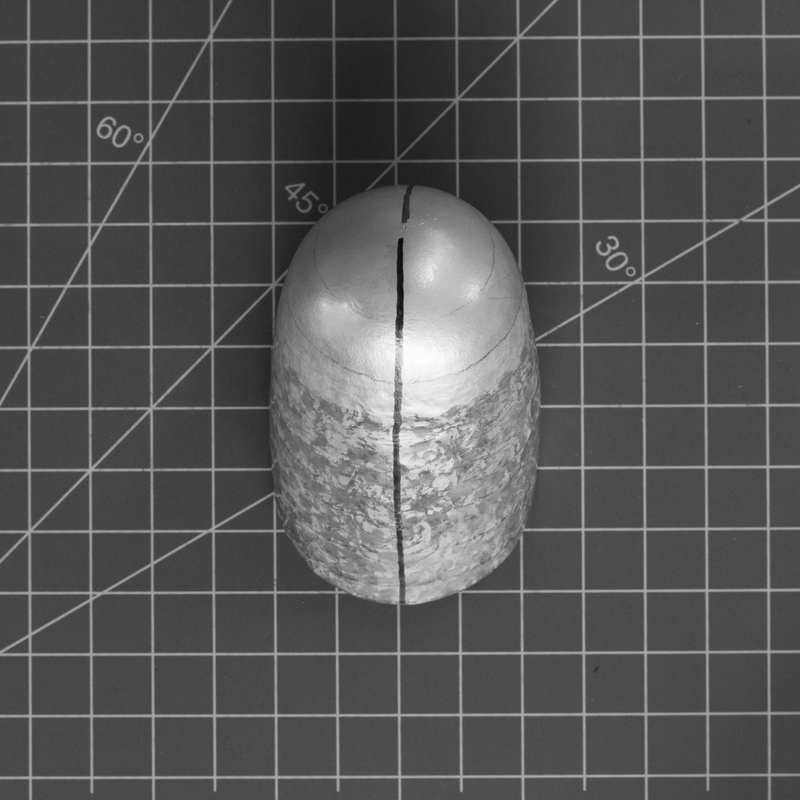 By changing the location of the kernel, mark at the bottom in which guide lines are drawn for hammering courses, and altering my hammering techniques mass or material can be moved to where it is needed, mainly the belly.